A mature, complex ecosystem helps drive retail performance and innovation. At Digital Mortar, we know we’re just one piece of a complex puzzle. Doing, integrating and actioning on analytics is – like most really important things – hard to do well. Getting it right demands advanced data collection technologies, great cloud infrastructure, analytics partners who can help you understand and use the data in advanced models, retail experts that can action it into better stores, and big-data experts who can help you integrate and analyze DM1’s customer location data with the rest of the customer and digital experience. Our partners not only help with each aspect of that, they can help provide the glue that brings it all together. 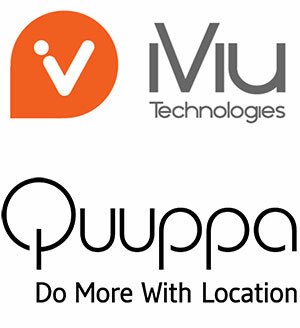 Our go to solution for most location tracking needs, iViu provides the location tracking technology that fits the needs of serious enterprise retail measurement. Accurate, reliable, comprehensive and scalable, iViu hardware provides the data engine that best powers DM1. If you want to measure anything from a mall store to a mall, iViu’s passive sniffer technology is likely your best bet. When you need highly accurate tracking of Associates, mobile applications or carts, Quuppa’s BLE-based solution is a natural. The accuracy is awesome and when anonymous, passive tracking isn’t a requirement, Quuppa can’t be beat for providing robust, real-time tracking data into DM1. DM1 was built in Azure and we take full advantage of it’s remarkable scalability and reach as well as tight integration with a host of outstanding Microsoft stack technologies. You’ll have a powerful, fully dedicated virtual machine in Azure that will make your DM1 instance sing. Google brings its legendary big data capabilities to all aspects of cloud computing. 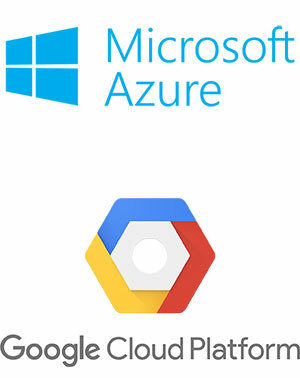 It’s super-fast to deploy in GCP and you get all the features and function of a modern cloud along with some very cool analytics capabilities like direct port into BigQuery. Our go-to glue guys who can support and deliver any size project across a huge spectrum of needs and problems…globally. Need advanced analytics? They’ve got the team and the bench to do it. Need systems integration and big data? Check. Need retail strategy or digital transformation? They can help you at any scale, anywhere in the world. 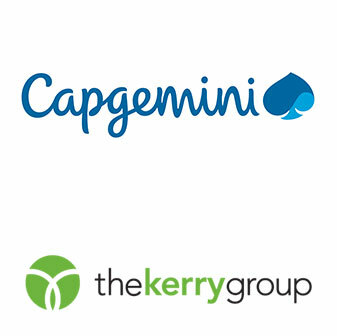 For outdoor and specialty experiences, Kerry Group delivers fantastic brand building experiences that rock DM1 measurement. If you need something unusual, special, interactive and one-off (and you’d actually like to know if it works), Kerry Group can get it done. Kwantyx delivers cutting-edge digital analytics and strategic transformation along with deep business smarts. They can help you get DM1 set up, they can help you drive it, and most of all, they can help you integrate it into a broader customer view to drive strategic improvement. Experts in machine-learning in digital data, Syntasa can help you get more from existing Adobe or GA data AND they can take DM1 behavioral data and give it the same advanced ML treatment. If you need ML on store data or real expertise and cutting-edge tech integrating digital and store, Syntasa has the technology and the expertise to get the job done. With unparalleled digital pedigree and a strong focus on customer lifetime value optimization, Ambition is the partner you need if your focus is on building better customer value segmentation and targeting by integrating store side data. Based in Germany with offices in Berlin, Hamburg and Cologne, Digital Motion is a specialized consultancy focused on digital analytics and digital transformation. Online, offline or both. Digital Motion can help you to excel throughout your entire data processes: complete data collection, meaningful data integration, actionable data insights and making your data profitable. Digital Motion is a hands-on business consultancy with rich expertise in the digital space. If you are in Europe, then Digital Motion is your ideal partner for DM1. Bring the power of advanced machine learning to bear on your in-store shopper behavior data. DXi can take your Digital Mortar data (yes, we provide an event-level feed at no extra charge) and produce best path analysis, shopper clustering and so much more. It’s the most advanced way there is to optimize your store layout and merchandising. Machine learning is the at the cutting edge of modern data science and with DXi and Digital Mortar you bring real data intelligence to your stores.